Want to work for us? The Trafficking Culture Project is seeking a Research Assistant/Associate, full-time, funded through 31 January 2016. To assist on the ERC-funded grant ‘Global Traffic in Illicit Cultural Objects’, known as Trafficking Culture, as outlined in the grant Description of Work and as further specified from time to time by the PI. To support the PI and the project Senior Research Fellow in the successful delivery of the programme of work outlined in the Description of Work. 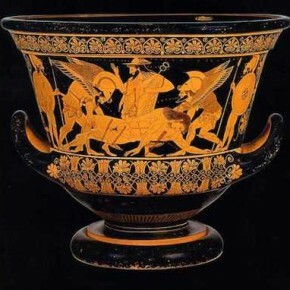 Broadly this is a programme of research into the global criminal market in looted antiquities which seeks to apply quantitative, qualitative and theoretical methods and approaches to develop knowledge in the field and to work towards producing policy recommendations for controlling the market. Basically you need to demonstrate a background and interest in studying looting/trafficking, preferably in the trafficking of cultural objects, and you would have a background in criminology, law, heritage, or archaeology. PhD not specifically required but highly desirable; if no PhD equivalent experience needed. You must be handy with websites, social media, and have experience with transcription and the likes. Contributing to our masters-level module in criminology at the University of Glasgow is a must. So, yes, the job is in Glasgow…sorry, no remote workin’. But it is nice here. If you would like more information about the job, do not hesitate to get in touch with me/us.